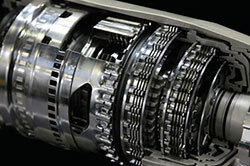 Transmission Repair | German Sport, Inc. When was the last time you had transmission repair on your Walnut Creek vehicle? 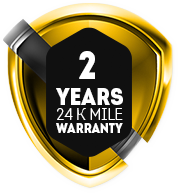 If you have been driving your vehicle for at least two years, it would be wise to bring your vehicle in for transmission repair, transmission service, and general auto repair. Because Walnut Creek has a lot of stop-and-go traffic, the daily grind out on the highways can take its toll on your transmission. That’s why regular transmission service and transmission repair are necessary to protect the investment you have made in your European automobile. “Know several people who take their German cars here. They have some great diagnostic tools other shops don’t have but need to European vehicles. As I just recently purchased a used VW Eurovan have not had a chance to bring it in. When I do will update.” — Derek T.
When your European automobile is ready for transmission repair, transmission service, or auto repair in Walnut Creek, we invite you to try German Sport Parts & Service, Inc. Ask about our 10% off Internet Special when you contact us for a transmission repair appointment at our Walnut Creek facility. We are conveniently located at 1400 Autocenter Drive, Walnut Creek, CA 94597 (Off North Main – Behind Midas Muffler). Call us during business hours, Monday through Friday, 8 AM to 5 PM. We look forward to serving you with quality transmission repair you can count on!